Facebook’s genre-wise categorization of games proved to be an excellent move. Now, players won’t have to scour the web to get updates on new game releases. All they need to do is visit the App center, look up their favorite genres and play some of the hottest titles on the social networking platform. The App center features your favorite adventure/puzzle/strategy games. 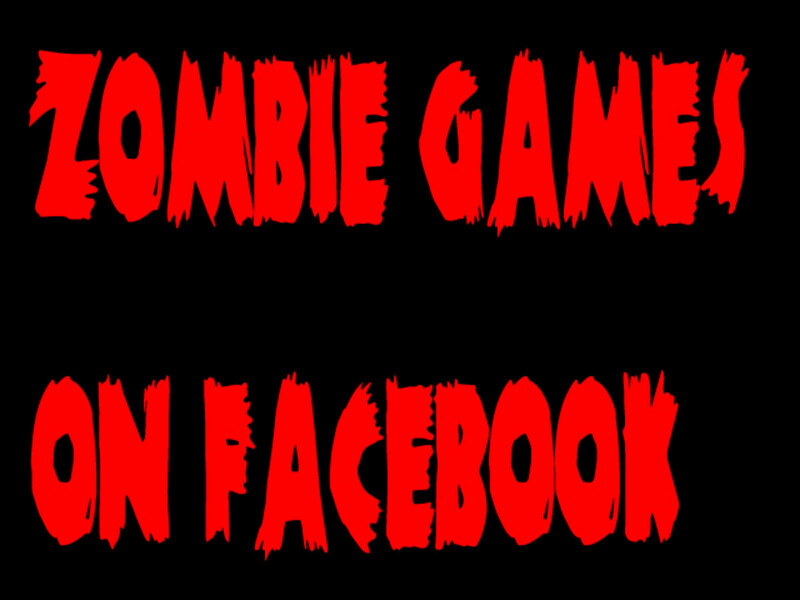 However, there are very few role-playing games on Facebook. Games like Kingsroad may have opened the gates to console-quality titles, but one has to see whether this genre will be as popular as other genres on the online social network. The cutesy cousin of Diablo is quite an addictive click-fest. 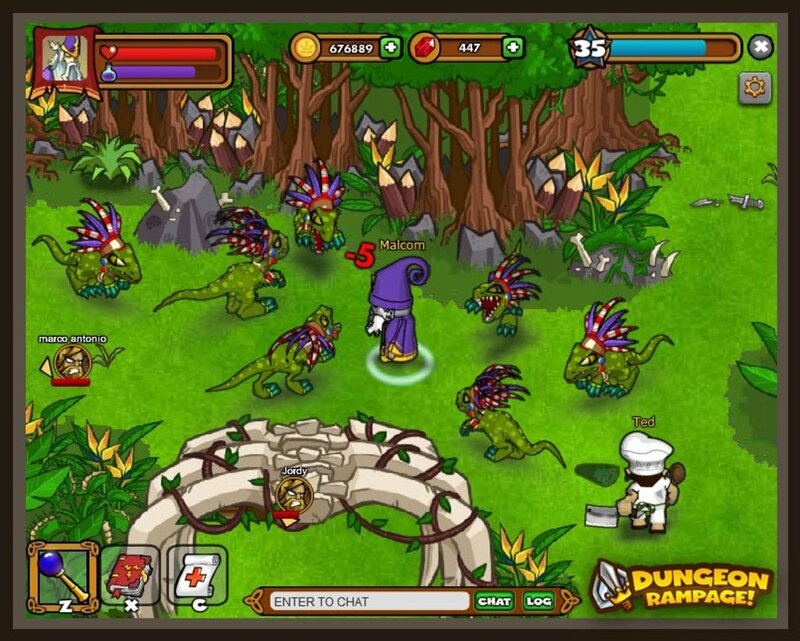 You will be battling adorable monsters in some of the most colorful and vibrant environments. The point-and-click interface will remind you of old school isometric hack-and-slash titles. Cloudstone gives you the freedom to reset your skill points at any time, making gameplay easier and enjoyable. The game has plenty of interesting quests, including boss monster quests. As you progress, you will need to craft weapons and use the skill tree properly to defeat enemies. The skill tree and crafting system is crucial for winning boss fights. For timer-based quests, you will need to keep a tab on your health and mana. Mana refills over time and is crucial for unleashing special power-ups. Once completely refilled, it will allow you to use a set of power-ups that can do massive area damages. 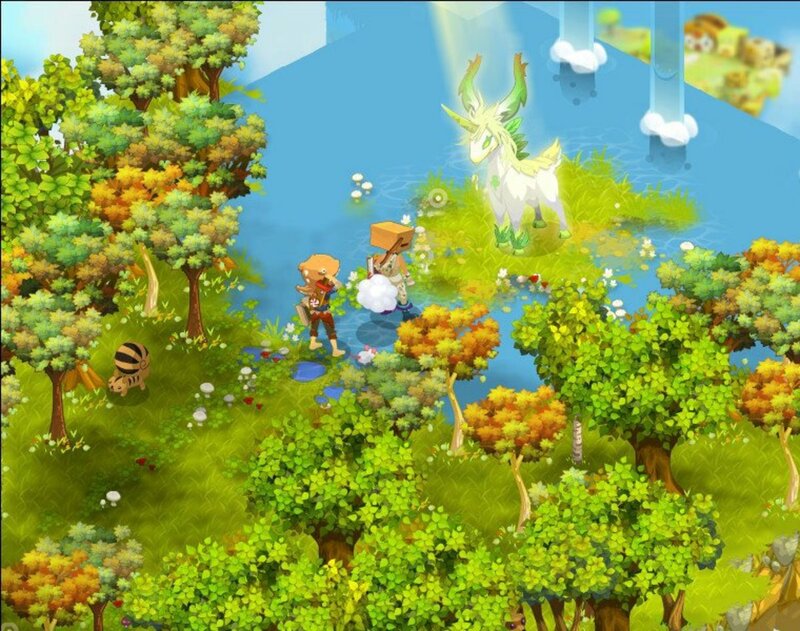 Cloudstone is a nice addicting RPG title. Although there are difficult quests, which will require you to craft items and use skills efficiently, there are also plenty of social elements that make this game interesting. What's Your Favorite Facebook RPG? 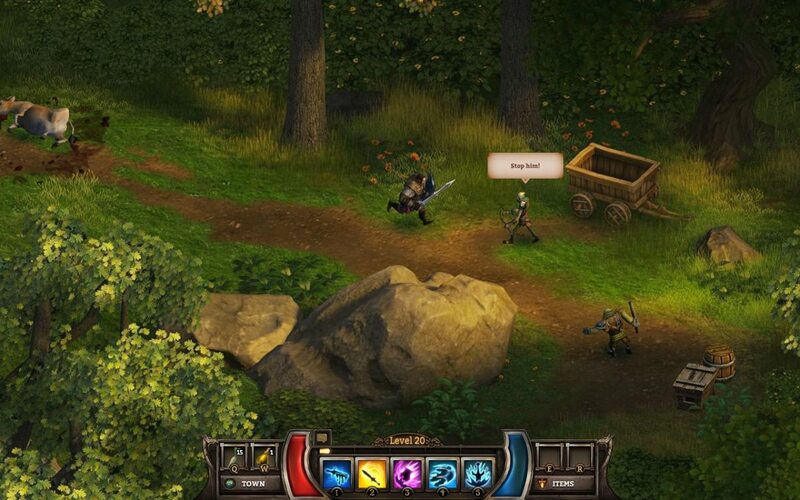 Rumble Entertainment has achieved the impossible – it has created a browser-based role-playing game with graphics and gameplay as impressive as Torchlight! For all role-playing gamers wanting to play a Diablo-like game on Facebook, Kingsroad is a dream come true. Players can now enjoy a PC RPG-level game that offers plenty of quests, character skill/customization options and a chance to team up with FB friends to battle enemies. The game’s designed for serious role-playing game players. After choosing a character class, gamers will explore a world filled with monsters, traps, more monsters and more traps. There will be epic boss fights, just like any other role-playing game, but the real challenge comes with proper utilization of items, spells and special abilities. You will also be using an assortment of special powers to unleash attacks on multiple targets. These special powers consume mana and can be invoked by pressing their respective hot keys. Kingsroad has an exhaustive list of items that can be used to equip your character. While there is a separate store to buy them, you can collect items from enemy corpses. The items range from rare gems to foodstuffs to character gear (boots, helmet etc.). The game does not have an energy system, which is a refreshing gameplay aspect, considering most games borrow the famed Zynga-like model. You can play without spending a dollar, but you must be shrewd enough to make optimum use of items. Townsfolk will also craft items for you and there are always those friendly corpses that drop an item or two after getting eliminated. Kingsroad has set new standards for future games. The brilliantly designed dungeon crawler offers complete role-playing experience. An action role-playing game title, Dungeon Rampage lets you team up with your FB friends and go on a monster-bashing spree by using a variety of deadly weapons. The game’s co-op adventuring is fun and lets you have 2 random online players joining your party in case there no friends to help you out. At the start of play, you will embark on a dangerous adventure with just one class available. You will be hammering your way through monsters and soldiers. Later, you will be able to switch to a totally new character class using in-game coins. Besides the default hammer-wielding warrior, there are two more character classes – Archer and Sorcerer. Skill upgrades can be achieved by distributing training points earned by completing missions and leveling up your character. Training points distributed to a Ranger’s skills can improve its movement and shooting speed, whereas points distributed to a warrior can increase its health. Dungeon Rampage’s cartoonish visuals and top-notch character animation makes it one of the most visually-impressive social games on Facebook. You will find a variety of different environments and locales as you battle your way through dungeons. It is an excellent title and aimed at casual role-playing players and so several features like the skill system may not be too deep or complex when compared to other RPGs on Facebook. 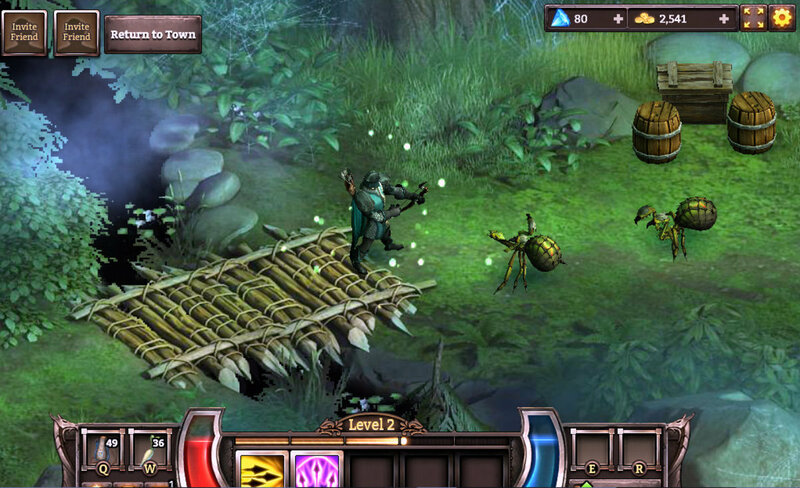 Legends: Rise of a Hero is a mid-core role-playing game with social building elements infused into it. Besides exploration, combat and treasure-hunting, players will also be constructing buildings, which can be used to shop for weapons and armor, craft items and recruit friends to their party. The game’s simple point-and-click interface lets you explore different types of terrain, battle monsters and collect treasure at a click of a mouse button. Monsters can’t be avoided once you get into their line of sight. The enemy AI is pretty good, but attacks in groups. To fend off mob attacks, you can use special skills and weapons. 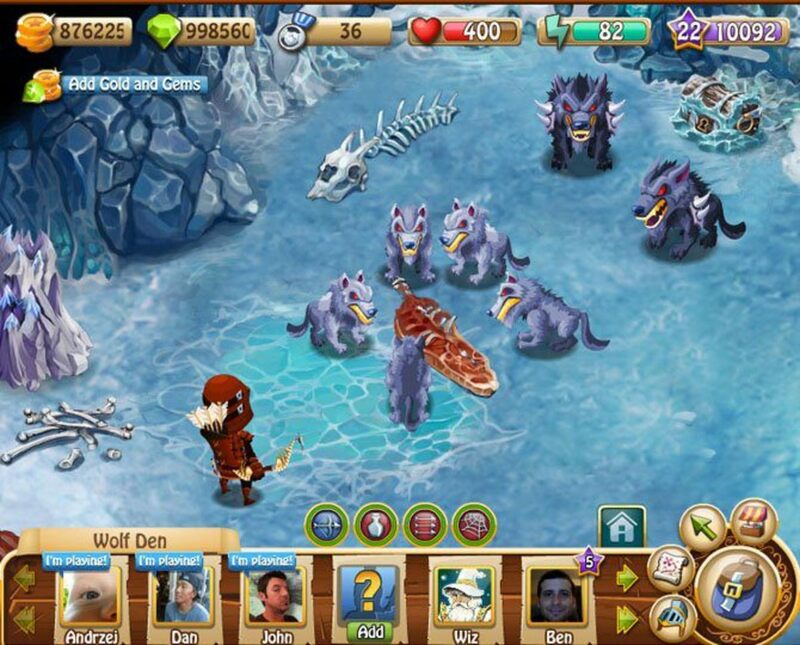 Rise of a Hero uses Zynga’s famed energy system. 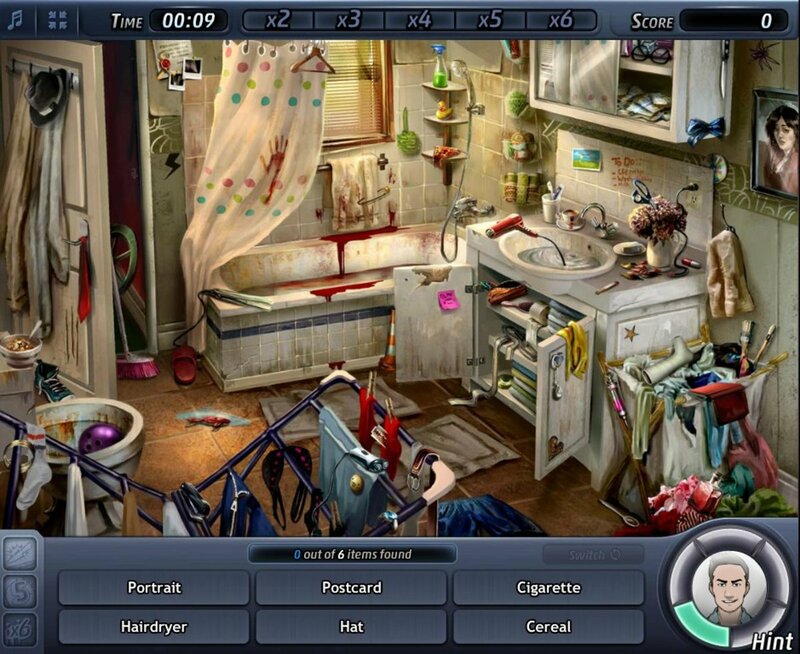 This system worked pretty well for Farmville type of games, but there was no need to introduce it in a role-playing game on Facebook – Legends Rise of a Hero already has a health bar and having an energy system complicates things, making gameplay slower (energy restores over time and so does health). 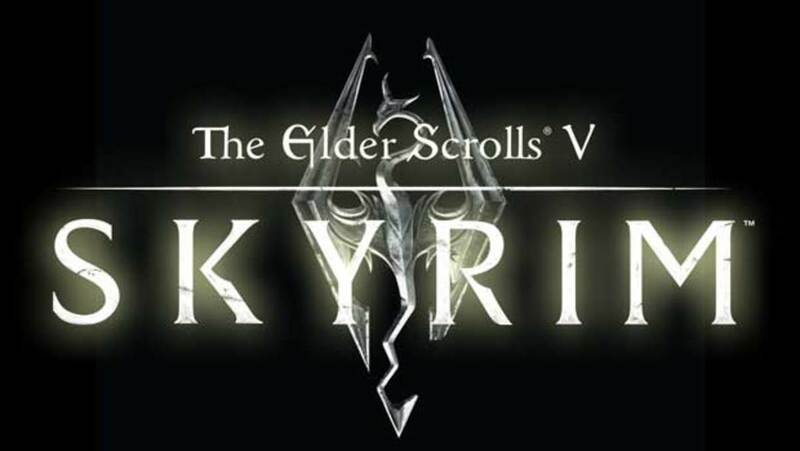 However, the game offers plenty of fun gameplay moments that will appeal to fans of the RPG genre. 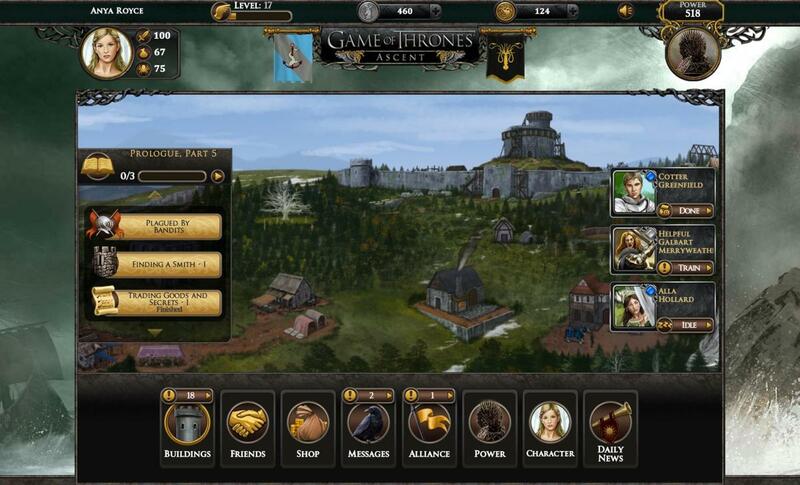 If you are fond of old school text based role-playing games, then you should play Game of Thrones Ascent. Based on the epic fantasy novel, Ascent offers a chapter-by-chapter quest-based gameplay. It has an interesting alignment system and special tasks that allow you to engage with your subjects, rivals and enemies via a special dialogue-based interface. 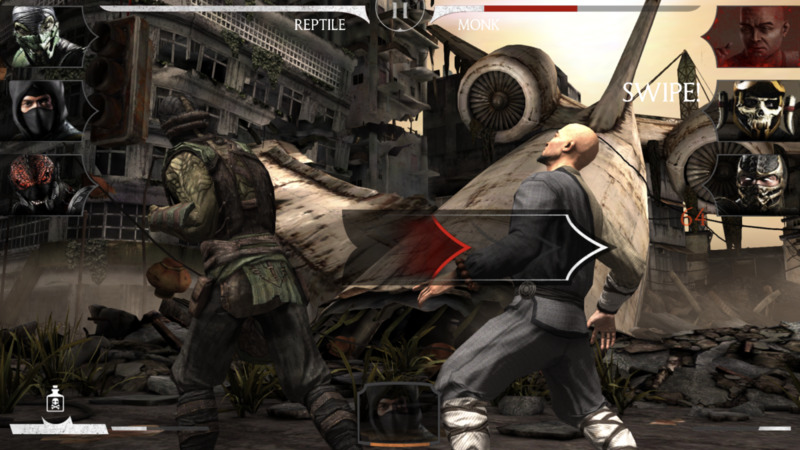 Besides the text-based system, the game allows players to embark on dangerous adventures that involve rescue operations, warfare, even espionage and trade. Recruitment of skilled sworn swords as well as careful selection of weapons and skills will determine the outcome of an adventure. Despite a non-animated approach to combat, the game’s battle system does not disappoint at all. Like other role-playing games, Ascent on Facebook lets you level-up your character to unlock special items and other goodies. You will also be constructing special buildings that will let you shop for items, craft special weapons and equipment and collect coins as tax. Regular game updates and new content make gameplay more immersive and exciting. The story-driven gameplay is something I was looking for in a Facebook game and Ascent doesn’t disappoint at all. 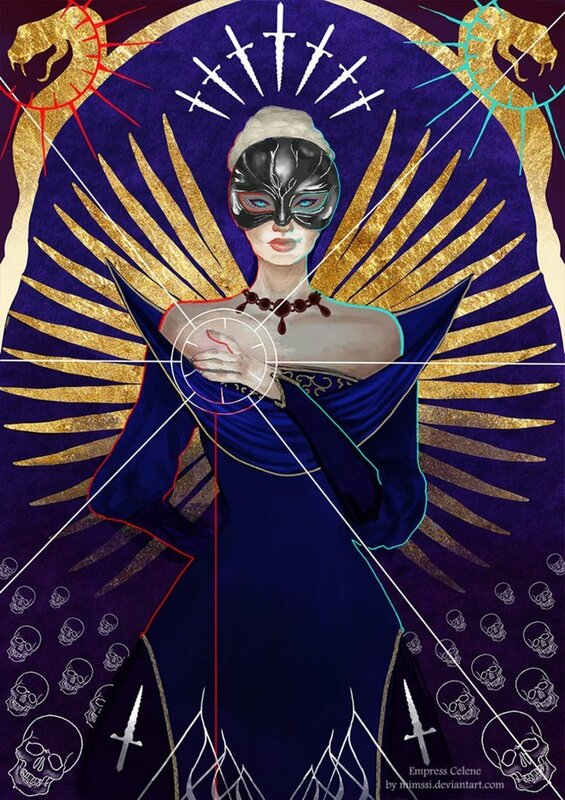 It has a mature storyline, which I am sure will appeal serious RPG and Game of Thrones fans. All Screenshots, courtesy of their respective game developers. Yes top 1 is cloudstone the best rpg game in facebook :) i play cloudstone since 2012.. Excellent list. I love RPG games and also have a Facebook account. Now I know which games to try first based on your article. I honestly didn't know that RPGs will available to play on Facebook! I've steered clear of Facebook games and apps for a while, but if I ever needed something to play, now I know that it's there. Voted up and thanks for sharing.